You have reached our 2013 Christmas gift ideas for couples blog however don't worry we have loads of great gift ideas for 2015! Head over to our Christmas Gift Ideas for Couples 2015 blog for some fantastic gift ideas for couples. Just like Rudolph and his shiny red nose OutdoorNI.com is here to guide you through your Christmas conundrums. If you’re stressing about what to get your loved one for Christmas or are stuck on what to get your friends or extended family then a couples activity gift experience is the answer! With over 30 couples gift vouchers to choose from you’ll have double the Christmas presents sorted in no time! Give that couple who has everything the chance to experience something completely different or buy a couples voucher for your husband, wife, boyfriend or girlfriend and enjoy the experience with them. Guaranteed to be the most exciting sightseeing tour, guided by a Segway NI instructor, you will visit all the key sites of the famous ship's history, including the Titanic Dock and Pump House all on your very own Segway! Learn all the basic skills needed to paddle, pop up and surf the waves right to the shore. Your lesson will take place at Long Line Surf School based on 7 miles of sandy shore at Benone Beach where your expert instructor will coach you both from the very beginning and show you all the skills you need to ride a wave. Give them the gift of choice, a 3 hour session where they get to choose their adventure. With a range of adrenaline pumping activities on offer including wet bouldering, rock climbing, canoeing and kayaking the only problem they’ll have is deciding which one to do! Not for the faint hearted this is one experience they’ll never forget! A cliff jumping, sea swimming and rock scrambling session that is guaranteed not to be boring. A minibreak with a difference spend the night under the stars in quirky camping pods. With bike hire included it will then be time to hit the trails at Castle Ward, the fun doesn’t stop there however as the voucher also includes an archery or canoeing session – it’s quite literally the gift that keeps on giving! They’ll enjoy an adventurous morning or afternoon's paddle along the beautiful River Roe with Binevenagh as a back drop. Instructors will be on hand throughout and all equipment will be provided so all they need to worry about is turning up and have a great time together. The ultimate gift for any Game of Thrones fans, they’ll get the chance to step into Winterfell and be like Jon Snow and Ygritte as they have a go at archery in the very place where the BAFTA award winning TV show was filmed! Experience a dive in the sea together taken by a fully qualified PADI instructor on the beautiful North Coast - Christmas presents don’t get much more exciting than this! It's all about adrenaline on this full adventure day of abseiling and rock climbing. Get the chance to belay and learn new skills before whizzing down the vertical rock face in the stunning Mourne Mountains. Give the gift of choice this Christmas with a 3 hour private session of either kayaking, canoeing, gorgewalking, coasteering, bushcraft, surfing, rock climbing, orienteering, archery or hill walking. They’ll have the freedom to choose their own adventure with this private activity session for two. Visit OutdoorNI.com for even more gift experiences for couples. We only need one gear! With the Single Speed European Championships coming to Northern Ireland on 25th - 27th April 2014 MountainBikeNI.com caught up with local mountain biker Mickey Regan to get the low-down about one of Europe's most unique mountain biking events! 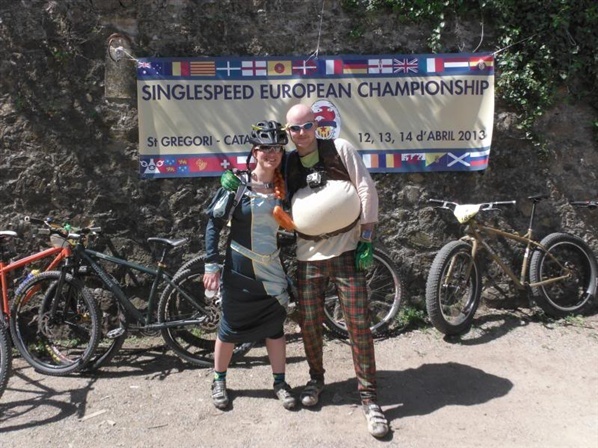 The Single Speed European Championships is a festival celebration of bikes, beer and banter! 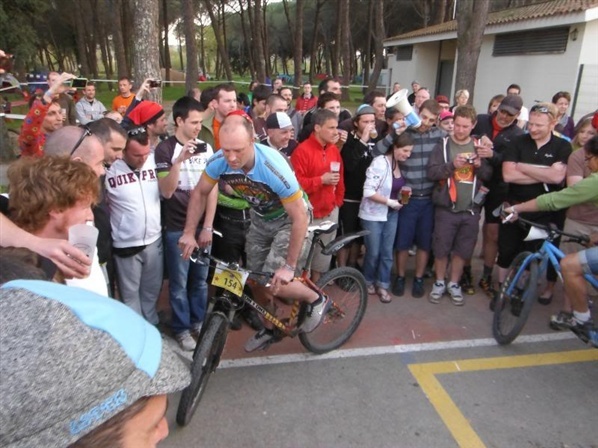 Even if you don't ride Single Speed the party atmosphere is enough to tempt any mountain biker to join in. I have been to a few of these events over the years and 'unique' is definitely the word. A colourful array of bikes and bikers from around the world make the event one not to be missed. The festival weekend usually consists of a lot of drinking, casual rides around local trails, eating, more drinking, night rides, the main event on a course that can be ridden as many or as few laps as you wish followed by ...yep ...more drinking! Do I have to say anymore? If you're new to MTB or a Pro you want to make the Single Speed European Championships in Castlewellan this April. Every event I have been to the locals have made a massive effort. Families around the world use the event as their holidays. 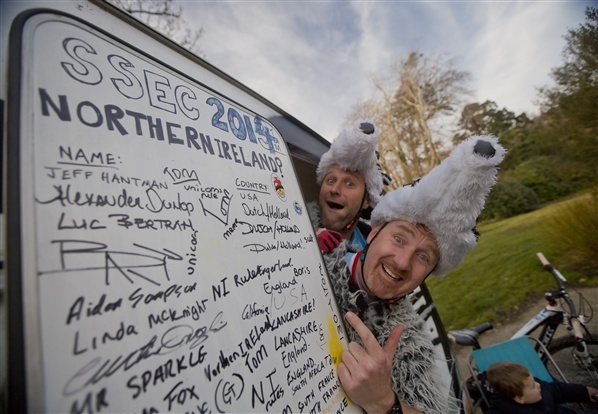 So come out and show the true Northern Ireland hospitality and welcome the single speed nation to our shores. Hope to see you join us in April! You have reached our 2013 Christmas gift ideas for men blog however don't worry we have loads of great gift ideas for 2015! Head over to our Christmas Gift Ideas for Men 2015 blog for some fantastic ideas for your dad, husband, boyfriend or brother this Christmas. It’s that time of year again when we find ourselves racking our brains trying to think of what to get our dad, husband, boyfriend or brother for Christmas. If you’re lacking inspiration for that perfect gift then OutdoorNI.com is here to help! With over 60 gift experiences for men available to buy from surfing to zorbing, and sailing to off-road driving you won’t have any problem finding something exciting and memorable to give him this Christmas. And the best bit? All the gift experiences are available to buy online so you won’t even have to brave the dreaded shops to pick up a unique and memorable Christmas present. Hands down the most exciting gift you can give, the lucky recipient will experience freefall from 15000 feet. Securely attached to an experienced instructor, this is the easiest and quickest way for anyone to make their first jump! Fly over land and water in a hovercraft, perform wheelies in an acrobatic roll cage buggy, have a go at the deadly accurate laser shoot and hit the bulls eye with archery. This session is guaranteed not to be boring! An introductory essential skills session perfect for anyone wanting to give mountain biking a go or improve their skills. With a 3km green, 7.5km blue trail and an exciting 16km red trail with some impressive rock slab drops the Davagh mountain bike trails will not disappoint! Ready, aim, fire! With 50 cartridges and clays to hit he’ll be blasting them out of the skies in no time. This is a great gift for those who have always wanted to have a go or are looking to improve their skills. Possibly the coolest gift you can give, he’ll learn from the experts how to tackle the waves on a surfing lesson. From complete beginners to those wanting to improve their skills the experienced instructors on hand throughout the lesson will ensure everyone gets the most out of their surfing experience. Choose between a surf lesson in Portrush or Benone Beach, Limavady. Whether he chooses to learn the ropes of sailing with some hands on experience or wants to simply relax and enjoy the scenic Antrim Coast he is sure to have a fantastic time. With room for up to three people he can even take friends or family along too! You don’t have to travel to tropical climes to have a go at scuba diving, give someone the opportunity to try something completely new and discover a whole other side to the North Coast. Perfect for anyone who’s ever wanted to have a go this three hour session will include a safety briefing and instruction from a fully qualified PADI instructor. These two wheeled tilt mobiles are anything but ordinary! A completely different way to discover the countryside, this experience involves piloting your very own Segway on a guided off road adventure. Choose between an off road Segway Experience in Craigavon, Benone Beach, Moneymore or Belfast! He can choose to share the driver’s seat with friends or family or have it all to himself on this exhilarating off road course. He’ll conquer muddy climbs, drops and hazards on the 8 mile off road course before finishing the day off in a specially prepared Landrover being taken back across a stage of the course at Rally Competition speed! Let him be skipper for the day on Lower Lough Erne in his very own puffin boat (capacity for up to 6 people). He can enjoy idyllic uncrowded waterways, do a spot of fishing for lunch, visit the islands or simply anchor up, relax and enjoy the splendid scenery. Make sure to check out our Christmas Gift Voucher Section for even more unique gift ideas for your friends and loved ones this Christmas.